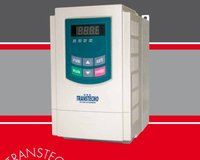 FIRETECNO is a product line dedicated to the biomass boiler sector (pellet boilers, multi fuel boilers, etc.). Firetecno is made up of electric motors and gearboxes that can be varied in terms of size and performance in order to suit your application. 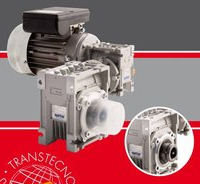 Worm, combination or helical gearboxes can be used with single or three phase motors. Furthermore, we have designed and developed the FT shaft mounted range which is efficient, compact, low noise and optimises performance and motorisation. The electronic control completes this range. Inverters from our TT100 series, range from 0.2kw to 15kW and are ideal for use in this sector. Biomass boilers burn plant based material, transforming it into heat energy. Aesthetically the biomass boiler is a steel device that can vary in size depending on the manufacturer and model. Biomass fuel is a plant based matter that comes from various sources such as wood including logs, pellets and woodchips, cereals such as corn and also olive residues etc. Boilers that can burn different types of biomass are known as multi fuel boilers. The fuel is automatically fed into the furnace, and this is where Firetecno comes in. The gearmotor produces the mechanical movement transporting the fuel into the combustion chamber. Here, heat and smoke are generated. Hot flue gasses are then passed through a heat exchanger, so that the heat is transferred from the combustion gases to the water used in the central heating system. The hot water is then circulated around a standard central heating system. 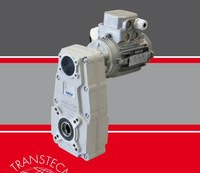 FT030/050 is a wormgearbox with special output dimensions allowing it to be connected to some of the most common biomass boilers. The plastic cover on the gearbox allows the connection to be to be protected and visible at all times. FT030/050 wormgearbox range main features are the high degree of modularity thanks to a wide selection of input and output kits, the die-cast aluminum housings and the permanent synthetic oil long life lubrication. FT shaft mounted gearboxes have been designed specifically for biomass boilers. The FT gearboxes are available in 2 sizes, FT146 and FT196 with die cast aluminium housings and permanent lubrication with synthetic oil. Both sizes have 3 helical gear stages, size 146 is available in the standard or clamp version. FT shaft mounted gearboxes have the following advantages : compact size, easy to assemble, optimize performances and motorisation. Efficiency and low noise are also important features of the FT shaft mounted gearboxes. Depending on the characteristics of the boiler, many different motors can be used. FY range includes single phase induction motors 230Vac, 50Hz, 4 and 6 poles, power 0,04kW - S3 30%. TS and MY motor range have enclosed housing and are fan cooled. TS range includes three phase induction motors 230/400Vac, 50Hz, 4 poles, power from 0,09 up to 1,1kW. MY range includes single phase induction motors 230Vac, 50Hz, 4 poles, power from 0,09 up to 0,75kW. The inverter from the TT100 range supplies full torque at 1.5Hz and can reach 150%of the rated torque, completing this range.